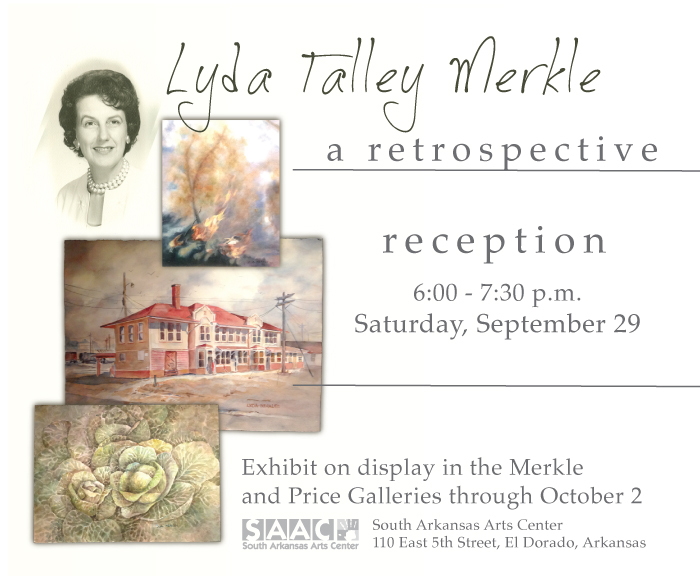 The Merkle and Price Galleries feature a retrospective of the work by Lyda Talley Merkle through October 2. A reception will be held on Saturday, September 29, 6-7:30pm. Anyone may attend. According to Lyda’s daughter-in-law Sarah E. Merkle, Lyda was born and raised in Enid, Oklahoma, and began drawing at a very young age. She kept her schoolbooks filled with drawings. While attending Oklahoma A&M (Oklahoma State), she met and married Jess Merkle. Her major was Home Economics/Design; she was never seriously interested in watercolor painting until here children were nearly grown. She carried her paints and brushes all over the world. 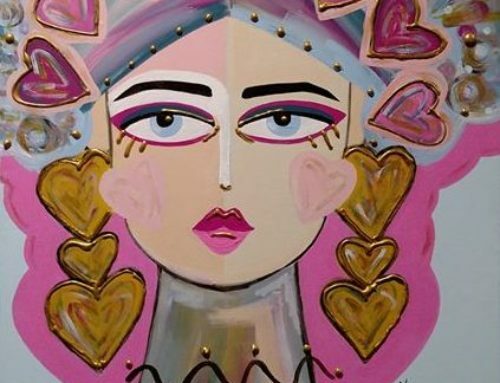 Every chance she got, she took art classes and workshops. Lyda studied with Milford Zornes, Douglas Walton, Frank Webb, Robert E. Wood, and Millard Sheets among others. After their marriage, as Jess served as an IESC poultry consultant in the Phillipines, Lyda taught art classes to abandoned children and unwed mothers in a settlement there. She was pleased to use her gift that way. 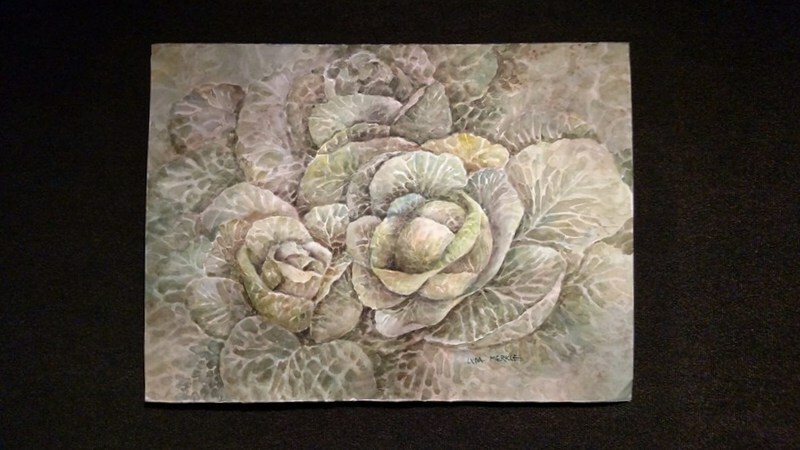 When Lyda and Jess moved to El Dorado, she became very focused on her art, and as an artist she really bloomed. She painted with a group that called themselves the “Everyday Painters”. A member of the community donated a building known as the “white building” on the corner of Fifth and Madison to the group so that they could paint even in cold rainy weather. Their first project was to nail Mason jar lids over the holes in the floor of the house to keep the mice out. 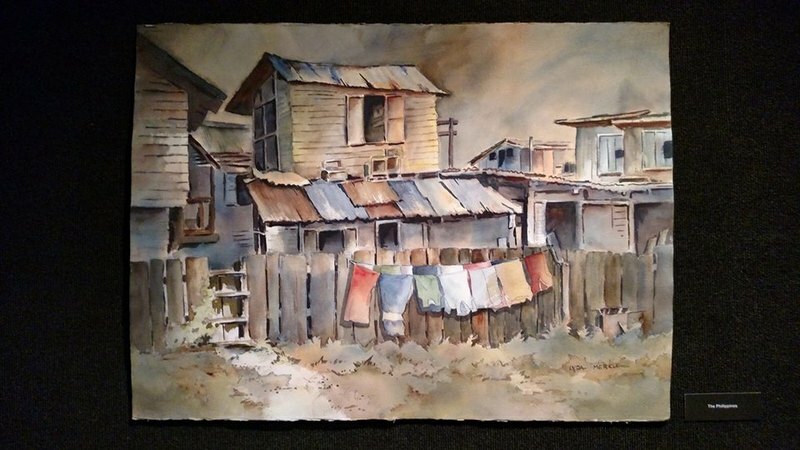 The El Dorado Art League was born from this group, founded by Lyda, Janette Morgan, Myrt Hill, and Sarah Ragsdale among others. 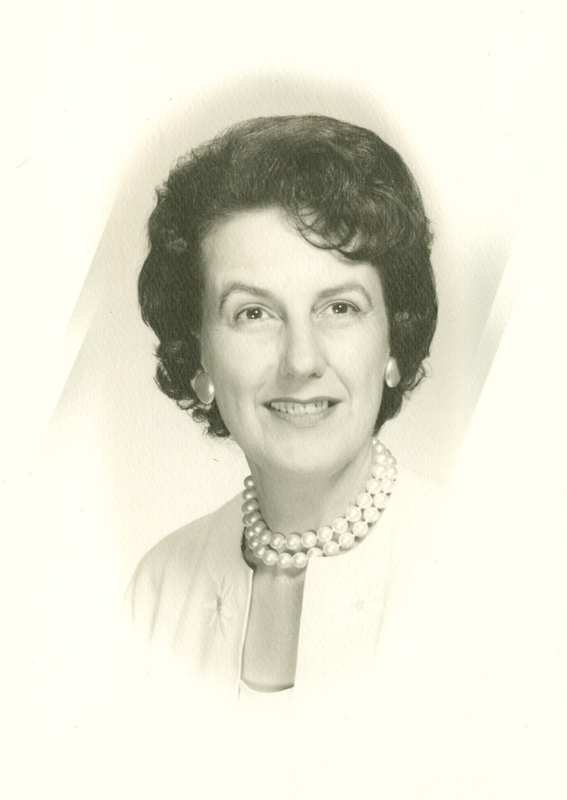 Lyda served as the Art League’s president several times. The El Dorado Art League was the precursor to the South Arkansas Arts Center. Lyda and Jess were instrumental in the formation of SAAC, and Lyda served many times on the Board of Directors after its formation in 1964. 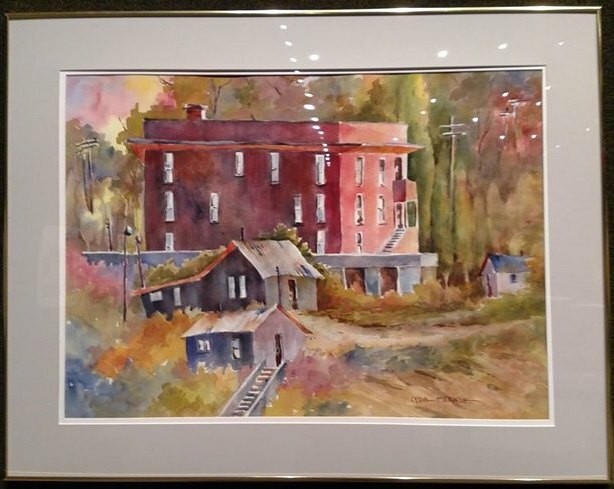 She was also a member of the Southwestern Watercolor Society, the Southern Watercolor Society, and a signature member of the Mid-Southern Watercolor Society. Lyda painted most Tuesdays when she was in town. 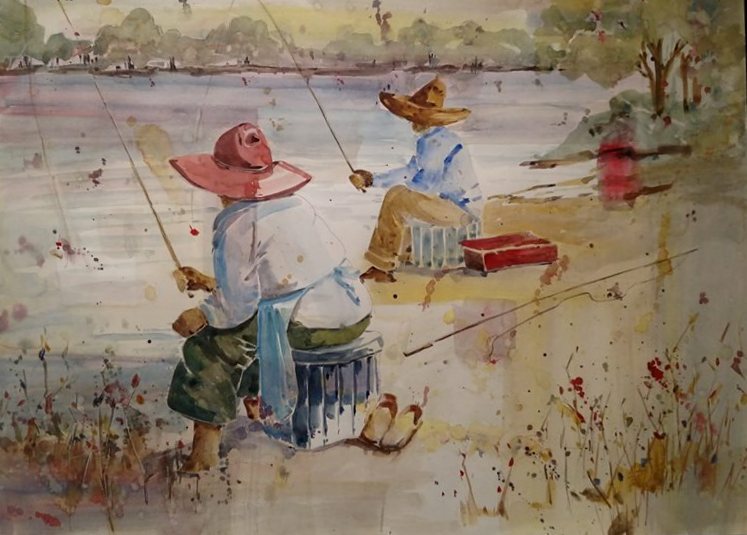 She loved plein air painting, and she painted with Irma Jane Johnson all over El Dorado and Union County. No barn, church, old home, or falling down mailbox was safe from their scrutiny. When they traveled into unfamiliar territory to paint, they took Jess and Irma Jane’s husband Harold with them to protect them from the cows, who always chose to gather right where they were painting. Lyda simply loved to paint. If you stayed still for very long, you might somehow have ended up in one of her paintings.